Ikat prints and the color indigo are both utterly in right now. Today’s interior design ideas “Look for Less” works both trends in one, and one pick is may even fit your budget! First the higher cost throw pillow. This pillow would quickly update a neutral color sofa in a snap. You can find this pillow at Tonic Home. 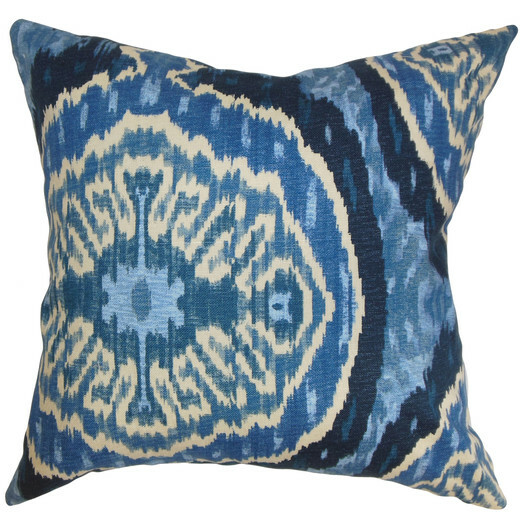 The Masala Blue Linen Pillow is gorgeous with a price tag of $198.00. 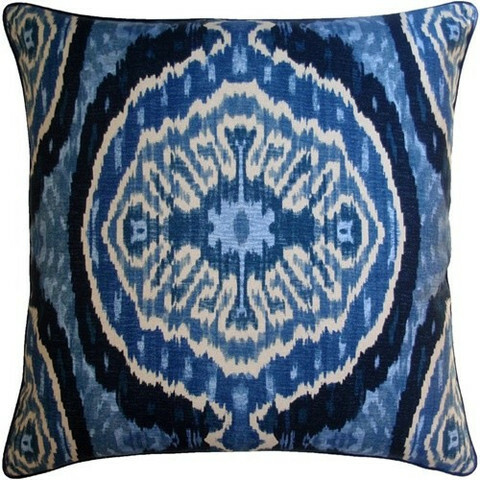 Equally as gorgeous, and giving the same updated vibe, is the Lovenali Ikat Throw Pillow available at All Modern. With a price of only $66.99 this would be a great way to dabble in two trends at once. Please follow my new Pinterest board, High Low Designer Finds, to see more interior design ideas for less!